Medical students and junior and senior doctors are frequently called upon to give research presentations, write reports, and answer exam questions on specific areas of medical research. 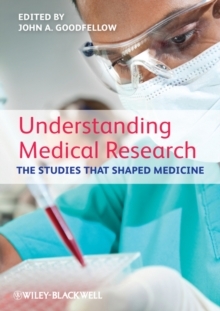 Featuring chapters from Sir Liam Donaldson and Sir David Weatherall, amongst others, world leading researchers identify ten primary research papers that have shaped the direction of research in their given topic, examining why they were carried out, key findings, and how they changed the field. Each chapter also contains short sections on Key Questions Remaining which outline outstanding areas where further research is needed, and a link to Key Laboratories/Clinics which point the reader to major research groups of international standing. Covering the seminal research in core areas of medicine, Understanding Medical Research provides an authoritative framework on each topic for medical students and healthcare professionals.